Health Costs > How Much Does a Wound Vac Cost? How Much Does a Wound Vac Cost? A wound VAC, known as a vacuum-assisted closure, is a portable sucking device used to medicate progressive bed sores or slow-healing wounds. This type of therapy can also be used on second-degree burns. Using a pump, the wound vac draws excess fluids from the bed sores or other deep wounds that seem to heal very slowly on their own and collect them into a chamber. A wound VAC, on average, can cost $30,000 if you were to purchase one, but this is rather rare since most will rent during their recovery period. If you wanted to rent one, it could be anywhere from $100 to $200 per day or close to $2,000+ per week. The total costs will really depend on the length of your treatment, the size of your wound and where you plan on renting/buying the machine. A smaller and shallower wound, for instance, will require a shorter recovery period when compared to a larger and deeper sore. On HubPages.com, PaulaHenry1 said that a wound VAC costs around $150 a day. On this HealthBoards.com thread, they were told the rental fee would be about $100 per day, but this fee wouldn’t include the necessary supplies. Upon receiving their total bill, their insurance company only picked up $2,500 of the $13,000 bill. For those who have health insurance, you may be covered, so be sure to check before proceeding to see what is covered. If you do not have a health insurance plan or you are looking to switch, consider browsing through hundreds for free at eHealthInsurance.com. A wound VAC, for the most part, is qualified for Medicare reimbursement and are covered by most insurance plans as a valid form of therapy; however, there are also insurance companies that provide full coverage only on the first surgery that requires you to use a wound VAC. They will then pay only a fraction of the cost in the event you need to undergo further surgeries that will need the aid of the suction device. To have the machine installed, the bed sore or open wound is first cleaned and then a piece of sterilized sponge is created to fit inside the wound. After which, the sponge is secured in place with a clear film, and a small cut allows a tube to hang out into the sponge. 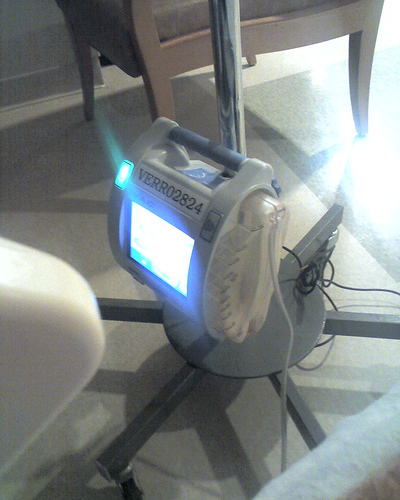 The tube is then fixed in place, and after connecting to the wound VAC, the machine is turned on to serve its purpose. Depending on the type of wound, the wound vac can either be run continually or can be turned on intermittently. When the wound vac is on, the blood flow to the area increases which allows for quicker healing. Popular wound vac companies include Medela, Genadyne, Pensar Medical, Atmos and Kalypto. A home-based patient with a wound VAC may need a licensed professional to visit at least three times a week to change the dressings, but this cost can be saved if someone else were to do so. Additional accessories, such as the vac sponges, dressings and tape, will be another few hundred dollars per month that you need to budget for. The wound VAC operates by using negative pressure to close the bed sore or wound, promoting replenishment of cells to heal the injury. Studies show that wound VACs significantly helps patients heal faster and reduce infection. Wound VACs also keep bacteria at bay. A wound VAC is applicable to almost all types of wounds; however, patients with deep and chronic cases benefit the most from this procedure. While a wound VAC may be an affordable and readily available procedure in developed nations, the facility is still beyond reach among poor patients, especially in developing countries. Because the wound vac is still fairly new in the medical field, there are not too many conclusive studies about it. Overall, the wound vac has been shown to improve the healing of wounds on the legs of diabetics, and it has shown promise in the healing of many others. If you are taking care of someone who is using a wound vac, you may want to take charge of changing the bandage instead of relying on the licensed professional to perform the dressings. Renting a machine is usually going to save you a lot more money compared to flat out purchasing one.